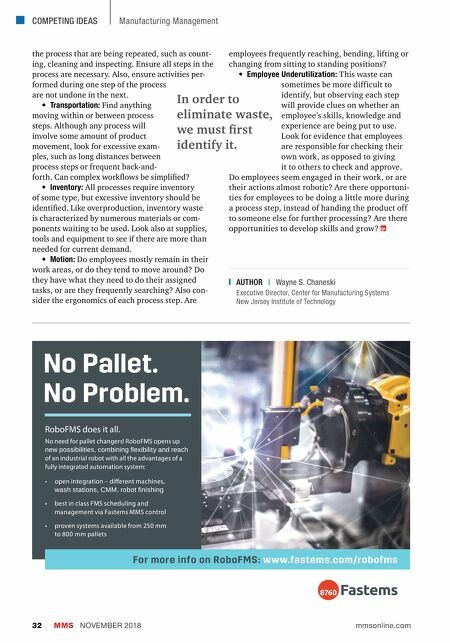 Star CNC Machine Tool Corp. | 516.484.0500 | starcnc.com New York | Ohio | California | Illinois | Pennsylvania | Connecticut Perfection in motion. 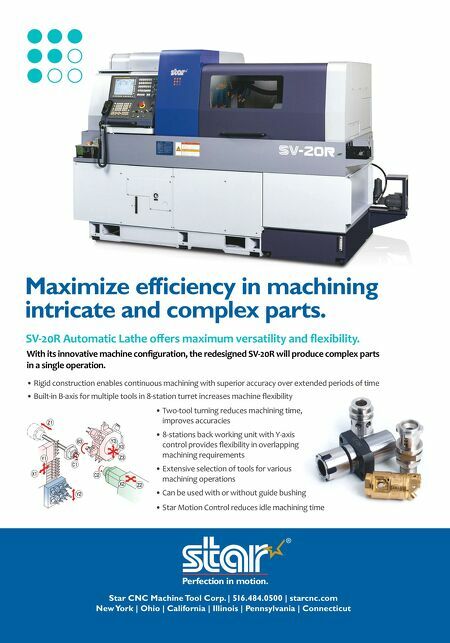 SV-20R Automatic Lathe offers maximum versatility and flexibility. With its innovative machine configuration, the redesigned SV-20R will produce complex parts in a single operation. • Rigid construction enables continuous machining with superior accuracy over extended periods of time • Built-in B-axis for multiple tools in 8-station turret increases machine flexibility • Two-tool turning reduces machining time, improves accuracies • 8-stations back working unit with Y-axis control provides flexibility in overlapping machining requirements • Extensive selection of tools for various machining operations • Can be used with or without guide bushing • Star Motion Control reduces idle machining time Maximize efficiency in machining intricate and complex parts.